Q: Does Bliss Medical Centre offer inpatient services? A: No, Bliss Medical Centre doesn’t offer in patient services, however, we have a wide range of outpatient services which includes Doctors Consultation, Specialty Clinics, Laboratory, Radiology, Dialysis, Pharmacy, Optical and Dental Care services. Should the doctor see the need for inpatient service, walk in clients are referred to their hospital of choice while insured clients are referred to facilities empanelled by their respective insurance providers. For more information, please call our 24*7 customer care number 0730 704000. Q: What are the operational timelines and location for the various Bliss Clinics? Q: If the client is not satisfied with Bliss Medical Centre services, what can s\he do? Q: Why certain services in certain areas/clinics are not available? A: Bliss clinics offers a range of services and is in a continuous process of being fully fledged. However, should there be no specific services in a particular Bliss clinic, Bliss shall refer the client to another nearest Bliss clinic (where workable) or to another provider with the sought services. Q: What are the various services offered at the different Bliss facilities? A: Refer to the Bliss List of Clinics. For more information, please call our 24*7 customer care number 0730 704000. Q: How long should patients wait for spectacles to be issued? A: Spectacles should be issued within 2 weeks. Where there is delay occasioned by factors reasonable to both parties, for instance request for special lenses/frames, political upheavals etc., the same shall be communicated and fresh dates of issuance communicated. For more information, please call our 24*7 customer care number 0730 704000.
and when are they available and in which facilities? A: Yes, Bliss has a panel of Specialist doctors. Refer to the Specialty services for more information. To know more, please call our 24*7 customer care number 0730 704000. Q: What do I need to carry during my doctors visit? Q: Is Bliss empaneled by NHIF? A: Yes, Bliss Medical Centre is accredited by NHIF to provide outpatient services to NHIF beneficiaries. 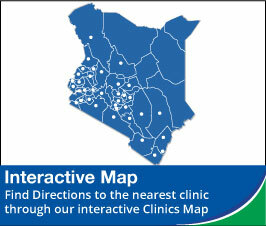 For details on the clinic and timing, refer to the List of Accredited Clinics. Bliss clinic for NHIF services? A: For Capitation, the clients can only access the facility they have selected, however, for Fee For Service, the clients can choose to visit any of the facility for treatment. Please visit NHIF portal for more details.